28 Apr Convergence & Role to be played by Mall owners & Malls in future. 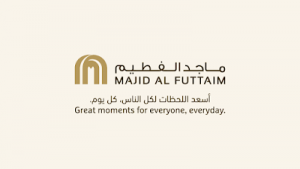 During the course of my work, I regularly meet people from my retail fraternity and during one such meeting, I happened to visit offices of Majid Al Futtaim in Dubai and was truly inspired by a placard (placed at the entrance of lobby) of Group’s Vision & Brand promise which states “Great moments for everyone, every day”. This brand promise & brand belief is so very powerful (all my brand gurus) would agree and has deeper meaning & conveys the way Retail would be progressing in future. I salute the top management of MAF group and advertising teams who came up with this fantastic brand positioning for Group and are pursuing it by fulfilling the promise that this group is making to his visitors/mall shoppers. This creative brand promise has inspired me to pen down few points which could help retail groups and mall owners in coming New Year 2018. Historically the business model for the shopping center industry has been to connect consumers and retailers physically. It was the retailers’ job to convince consumers to buy something. That model is shifting as a result of technology. The real estate owner or mall developer now has a large part to play in connecting the retailer and consumer both physically and digitally, and to do that mall would need a direct relationship with the consumer. According to the Fung Business Intelligence Centre, “Showrooming” — the practice of researching a product in the store but buying it online — gets plenty of attention, but recent studies suggest it is far less common than “Web-rooming,” which entails researching a product online and then purchasing it in a store. In fact, 90 percent of all U.S. retail sales still occur “within the four walls of a physical store,” according to a report by management consulting firm A.T. Kearney. 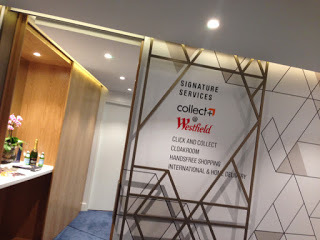 I would like to quote an example of Westfield London who has created a lounge for COLLECT PLUS, (mall’s initiative wherein the partnered tenants/brands offer their merchandise or discounts which are purchased by online customers and they come to collect the same from the mall. Perfect example wherein Mall has partnered with brands and helping them reach out to online customers. Installing Beacons in the common area of a shopping center; Most of the mall owners & shopping centers have embraced mobile apps, they can install beacons to identify hot and cold zones within their malls and share useful insights with their tenants to increase their sales. The mall could also roll-out digital directories and concierge services that help mall visitors find their way around properties, locate deals and get information about events. Indeed, new technology is empowering mall owners and retailers like never before. A prominent leading group, owning malls in KSA (Arabian centers) uses mobile phone tracking data through its apps to identify hot and cold spots in their malls and works closely with their tenants to improve their sales. I would love to see malls creating a hub for Retail Innovation, a physical place to connect retailers and technology providers in a real-world environment. I happened to visit a unique place in Dubai which empowers innovation and youth to take up entrepreneurship, the place is called YOUTH HUB. It is a unique repurposing & redefining of real estate. In one of recent dipstick conducted by me amongst my network/ friends/retail fraternity, I found that approx. 52% of respondents believe that pop-up stores are an effective way of discovering new brands. 1) Gives new brands/concepts some confidence in targeting brick & mortar format with their brands and converging both virtual & physical retail environments. Secondly, provides Mall’s leasing team an option of nurturing brand within their premises instead of scouting for brands outside. 2) Brings Newness to malls and encourages more retail customer’s engagement. Off lately, I have been observing this trend and asking most of my friends who used to dine out at least 4-5 times in a week, they are moving from fine dining restaurants to nearby cafeterias or local street food joints which are offering healthy as well as freshly prepared meals. With Advent of food trucks which makes hot meals served to you in 10-15mins time is what engaging & enticing future customers & mall owners should evolve and take into account this shift in cultural trend of eating out that’s occurring in the retail space. I would like to end my article with an extension of Brand promise which Majid Al Futtaim group makes and that is “Create a place that will become the center of people’s lives” & I wish team MAF & all other mall operators all the very best in their endeavors. Personally speaking, I would be more than glad to sit down with any of mall owners/developers/my retail fraternity and discuss this topic in great depth. I encourage all my retail network and friends, mall developers/mall managers to share their feedback on what they feel would inspire all our retail fraternity in 2018.